Want to help a veteran in West Michigan? Are you a veteran who could use a break from the stresses of your life? Flyin’ Heroes is a program that utilizes the sport of fly fishing to promote therapeutic growth and rehabilitation of U.S. military veterans. The goal of the program is to create memorable fly fishing experiences that unlock the healing power of the water and foster lasting relationships. 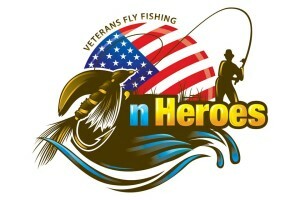 Fishing is simply the tool that allows the organization to connect with the local community of veterans. They focus on the importance of creating lasting relationships and life long memories on the river. Flyin’ Heroes utilizes individualized personal trips, which are used to empower and inspire veterans to make positive gains towards mental health and living productive, and fulfilling lives. Flyin’ Heroes harnesses the power of the river to heal the wounds of war.